Motorola EX 245 a 2G GSM cell phone is announced last year by Motorola and in few days it will be available in the Indian mobile market. Motorola made its announcement in the month of October of 2010. It is a fully touch screen mobile phone with 3.15 mega pixel camera sensor. 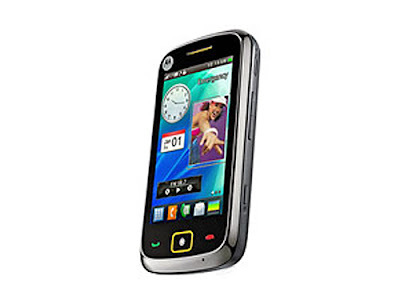 Motorola EX 245 prices will be quite affordable. Even exact price in Indian mobile market is not announced till now but it is expected that you can purchase it in around Rs.13000/- approximately. New Motorola EX 245 is available in a single black color. It has 3.2 inch TFT touch screen with resolution of 320 × 400 pixels that can show 65k colors. 108 × 58 × 12 mm is the total dimensions of this mobile phone. Motorola Moto TV EX 245 is supported by GSM 850, 1800, 900 and 1900 networks. It provides connectivity such as EDGE, GPRS and micro USB v2.0 but WI-FI connectivity is not available in this handset. You can take awesome pictures with this handset as it provides 3.15 mega pixels camera sensor. Motorola EX 245 is supported by a camera resolution of 2048 × 1536 pixels which is very good. You can take amazing photographs with it. Motorola Moto TV EX 245 is powered by Li-Ion 910 mAh battery which gives continuous talk time of 4 hrs and 10 minutes and a stand by back up of 250 hrs. It is also supported by mobile TV and predictive text inputs. These features are the main attraction of this handset. If you are a music lover than it is a very good option for you as it supports many audio and video music formats such as WAV, MP3, MP4, eAAC+ and H.263. A wide range of music formats are cover in Motorola EX 245 coming soon model. Motorola EX 245 reviews is very impressive. Motorola is getting huge demand and advance booking for this handset before releasing it in market. WAP browser is also supported in this handset. Another feature of Motorola Moto TV EX 245 is JAVA support which allows you to play games for entertainment in this phone. Organizer is also there with this mobile phone. 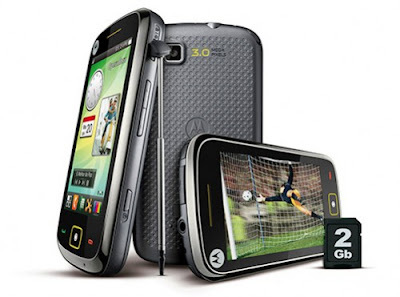 Motorola introduced a very stunning and stylish handset at an affordable price in the market. It is a dual sim supported phone with as expandable memory up to 8 GB by micro SD card but there is no internal memory support with this handset.